Stained Eco Beech wood grip that’s pinned to the tang under a copper bolster ring. It’s the Bidor blade that has been cleaned up and polished to show off the natural finish. Comes with ballistic nylon sheath with MOLLE attachments. My Parang has answered the call for wooden handled parangs! 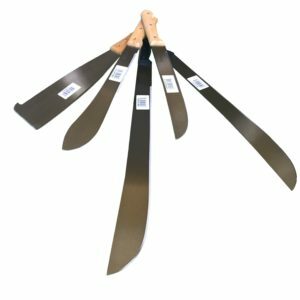 Introducing the famous Bidor blades matched with perfectly contoured wooden handle. 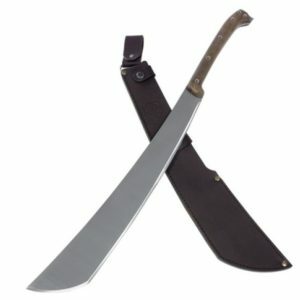 If you are looking for an authentic Malaysian made parang, this is it! 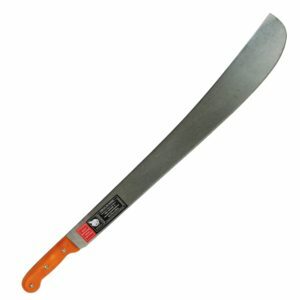 Made of quality 5160 high carbon steel with hand-quenched and zone hardened blades, this Golok will serve you well in all tasks. 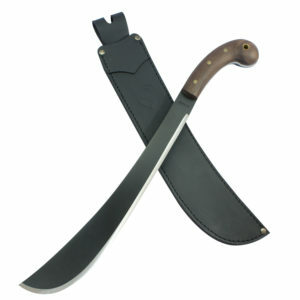 Authentic forged marks on each golok is an art in itself. 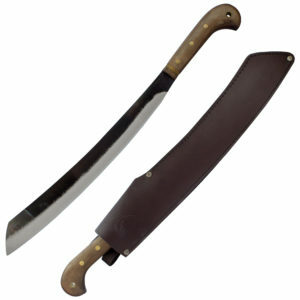 The traditional wooden handle made of Beech wood is the most comfortable handle you can ever hold! No more blisters or hotspots, you can chop all day long. 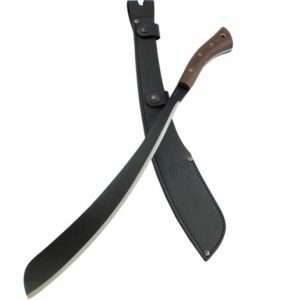 Shaped after the famous Duku Chandong used by Ray Mears, these parangs will perform any cutting and chopping duty with ease. 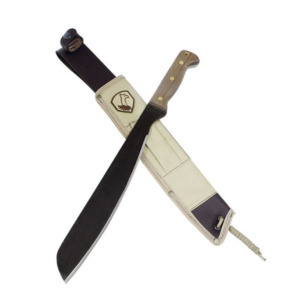 Comes with a sturdy ballistic nylon sheath with a hard plastic liner and MOLLE attachments. 5.03 mm. / 3.18 mm. Lightweight, solid feel and very maneuverable. handle is relatively comfortable. Cuts paper but not razor sharp. Sheath is passable. holds the blade. Customer service is outstanding. a benchmark for other retailers. Because of the great service, am looking to purchase another order soon.